Just here for a short OOTD post! Photo was taken just before heading out to lunch, it was quick snap (thank you little brother) so there's nothing right about this photo,mostly the lightning,which i had to try to fix around Photoshop. 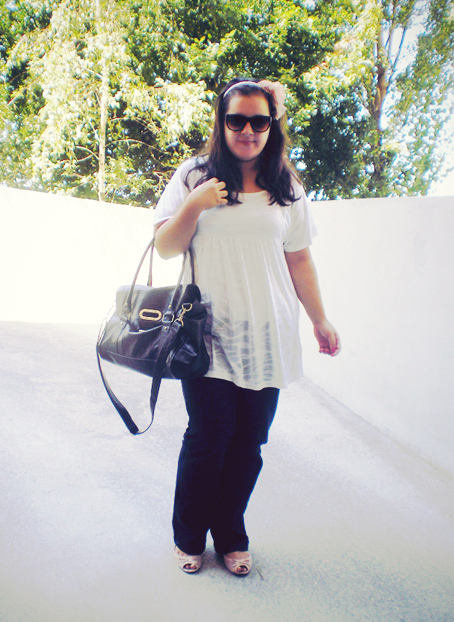 The my favourite part of my OOTD has to be the beautiful flower headband i bought in H&M while my trip to Braga. Yes,i forgot to mention i went for a little shopping and got a headband and a tuque/knitted cap in grey for winter time! Obrigada,Daniela!!!! ^^ Tu és a mulher multifacetafa,mal posso esperar para ver as headbands!!!! WEEEEEEEEEEEEEE!!!! We are going to be twins.Lol.